Day 10 – Monster Lemon! I thought I had a funny looking lemon on Day 353….but this one takes the cake! This lemon was pulled off my sister-in-laws tree. I decided it needed a scary looking face!! This entry was posted on Monday, January 10th, 2011 at 10:53 am and is filed under Uncategorized. You can follow any responses to this entry through the RSS 2.0 feed. You can leave a response, or trackback from your own site. 2 Responses to Day 10 – Monster Lemon! LOL!!!! 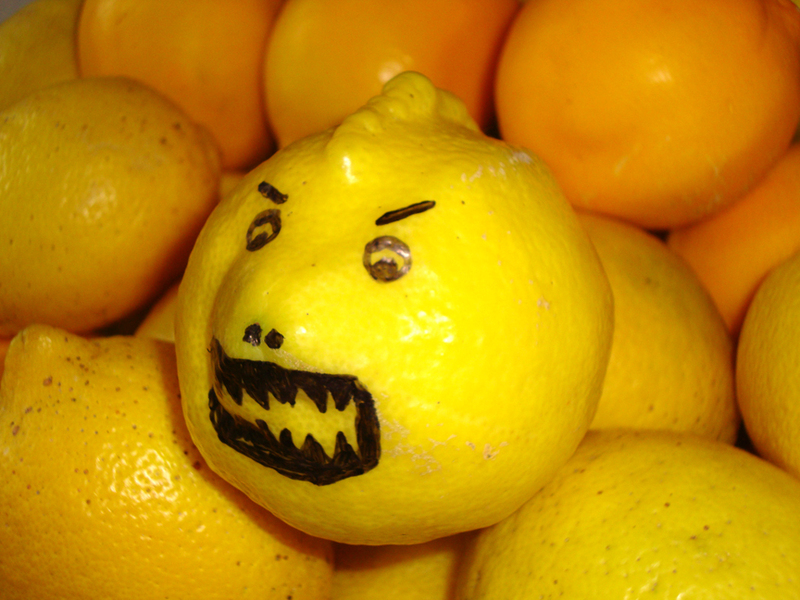 They should make a movie about the lemons like they did about the Killer Tomatoes.